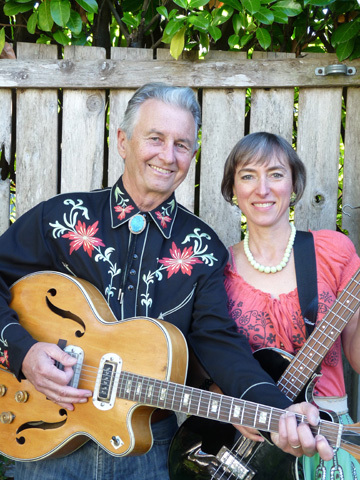 Honky Tonk Sweethearts - Seattle and Northwest Vintage Country Music and Rock'n'Roll! E-mail the Honky Tonk Sweethearts / Click here for our YouTube playlist! Bookings: 425-788-2776 (or e-mail above) - New Live CD available! "All Nite Long With You"
They play vintage Country music from Hank Williams, Buck Owens, Johnny Cash and many other pioneers of Country music, and also a few of Marc's own original songs that are in vintage Country style, as well as the occasional '50s Rock'n'Roll song. Above: at the Highway 99 Blues Club in Seattle with Country Dave on Wed. Jan 23. Rockabilly night! Photo by Tom McFarland! See us at the link below, playing at the Rattlesnake Saloon in Munich, Germany! 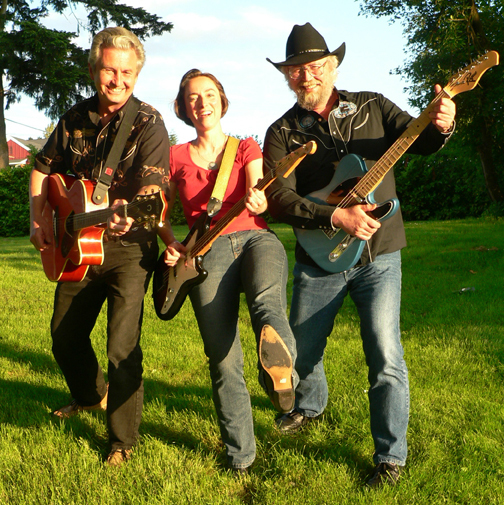 We're backed there by 3/5 of Munich's Honky Tonk 5, plus Ray Ackermann on piano! We work as a duo on up to a 5 piece band! The video above is from the Shanty Tavern Oct. 2015, with Country Dave Harmonson and his son Jesse! 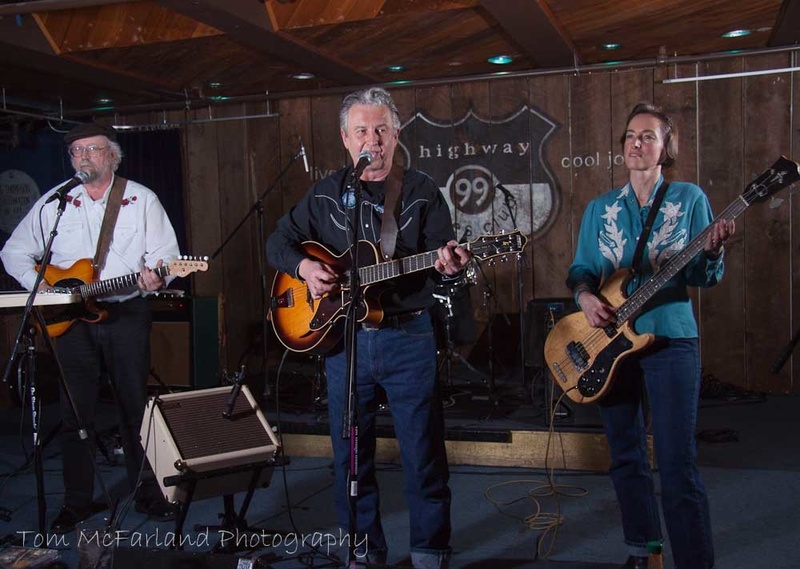 Below: This video features us at Slider's in Carnation, with cook and proprietor Marty Lepore on steel guitar. Marty was a member of Okie Doke back in 1982, and appears extensively on Marc Bristol's album "This Feelin'" on dobro and steel guitar. To the left it's the Honky Tonk Sweethearts with Country Dave Harmonson, one of the guys who turn us into a trio. 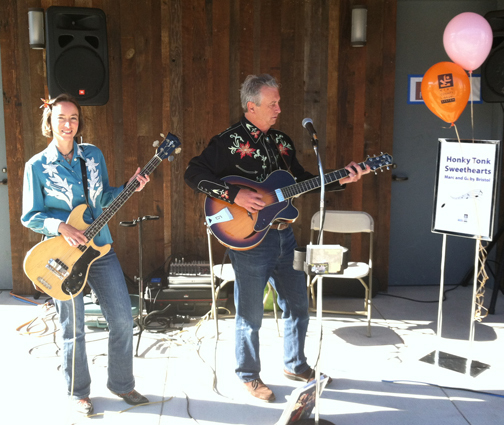 Above, there we are playing for the Grand Opening of the new Duvall Library - photo by Hilarie Cash! 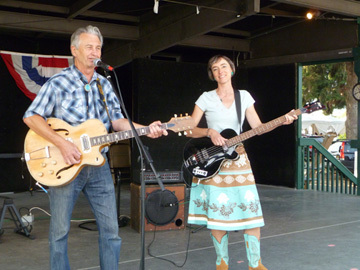 Here's a video of us playing "Red Hen Hop" on Valentines Day 2013 at Crossroads Mall Market Stage, with Dan Taylor on lead guitar! To the left it's the Honky Tonk Sweethearts at the NW Folklife Festival on May 26, 2013 - Country Dave on lead guitar, and Marshall Scott Warner on drums! We had a great time - THOUSANDS of people could hear us and many were dancing. It was the festival's Rockabilly segment.